BEDROOMS: Double Bedroom (with 1 x 4'6 bed including memory foam mattress) (with FLATSCREEN TV - FREEVIEW). Compact lounge/diner with FLATSCREEN TV - SKY INCLUDING SKY SPORTS AND SKY CINEMA - FREE WIFI (subject to availability from Internet Service Provider) - leading to kitchen area with ELECTRIC HOB - ELECTRIC OVEN - WASHING MACHINE - FRIDGE - MICROWAVE. Shower room and toilet. Courtyard area. Parking in shared drive for one car. GAS/ELECTRIC - INCLUDED. Linen & towels included for holiday lets are provided by the owner. 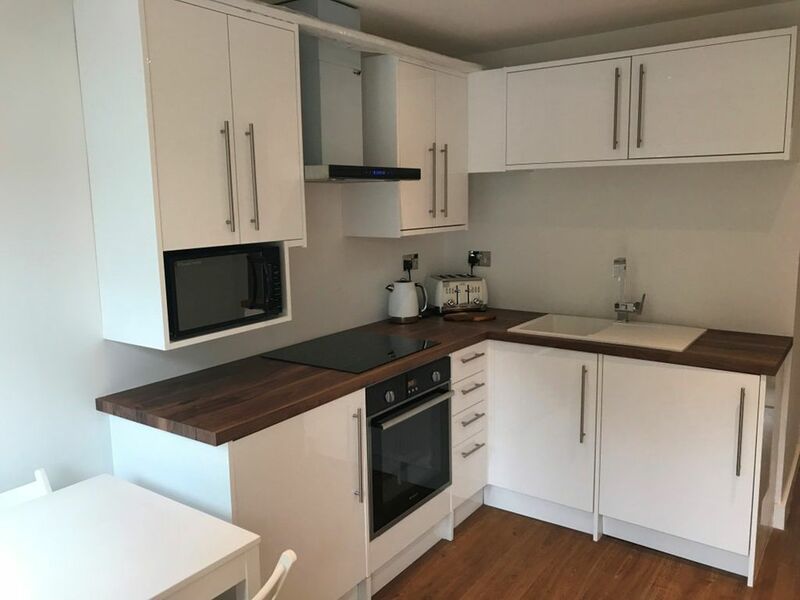 EPC Grade: C.
This modern one bedroom ground floor annex, which was built in July 2017, benefits from its own entrance and has been completed to a high standard throughout with modern furnishings. This property is ideal for a couple wanting to holiday in a modern apartment. LOCAL AREA: The property is in a residential road in Southbourne and is just a short walk away from the local sandy beaches where you will find Bistro On The Beach, a beachside restaurant with stunning sea views from every table. It has a fully licensed bar and a table service, it’s the perfect venue for breakfast, lunch, afternoon tea, dinner or just snacks. The apartment is also a short walk away from the Riverside walks and boating activities, a public slipway and 3-par golf course and driving range. There you will find Wick Village and Tuckton Tea Gardens, crazy golf, river boat hire and ferries that will take you to Christchurch Quay. If you catch the ferry to Christchurch Quay you will find access through to the riverside walks, park, café, Boathouse Restaurant, bandstand, children's play area and an exciting water play park and paddling pool which has many interactive features including water jets and sprays, a water play pump and wheel, channels and sluices as well as a paddling pool. On the Quay you can also take the opportunity to take the Vintage Ferry which runs regularly to Wick, Mudeford Sandbank and Hengistbury Head during the summer months (weather permitting). Hengistbury Head nature reserve is within walking distance of the property offering a wide range of leisure activities for those families looking for a more active holiday and you will also find the famous 'Noddy Train' that will take you to Mudeford Beach. A short walk away you will find a local convenience store and a short drive will take you to Southbourne Grove where you can find local shops, cafes, bars and restaurants. Bournemouth and Christchurch town centres are a short drive away offering extensive entertainment, dining and shopping opportunities and traditional seaside activities. The property was very comfortable, quiet and had easy walking to the beaches and driving to the New Forrest. I also did a day trip to Guernsey from Poole and this added to the enjoyment of the location. Hi Anthony, thank you for your review and feedback. We are so pleased to hear you enjoyed your holiday so much and would love to welcome you again to stay. Regards, Bournecoast Holiday Agents.